What exactly is a Keratin Smoothing Treatment? Here’s what you need to know about this trending hair procedure. Here in the Philippines, each day can feel like a never-ending battle against humidity. It’s uncomfortable, but it’s especially bad news for our hair, which rarely reacts favorably to humidity. 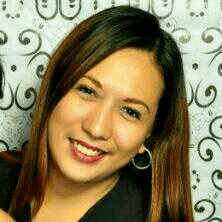 The result: frizzy, unmanageable tresses that are a nightmare to style. Such a hassle! This is where a Keratin Smoothing Treatment comes in handy. This hair treatment promises to give you smoother, straighter, frizz-free locks for several weeks, supposedly without causing lasting damage to your hair. 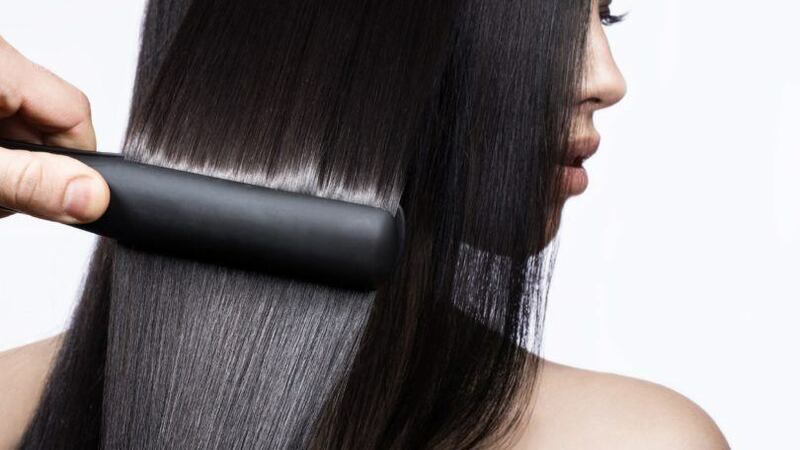 It sounds too good to be true, so we took a deep dive into the sleek, glossy world of keratin smoothing treatments to learn all we could about this procedure. Read our findings first before visiting your salon! 1. Your hair already has keratin. Keratin is a naturally-occurring substance. It’s a protein that makes up your nails, hair and the outer layer of your skin. It’s also the same stuff that comprises animal claws, hooves, and feathers. But wait: If our hair already has keratin, then why do keratin treatments exist? When you look at a strand of hair under a microscope, you’ll see that it’s not as smooth as it looks to your naked eye. Your strands are porous, meaning there are tiny holes on its surface. Overly porous hair is more prone to tangles, frizz, and breakage. Keratin smoothing treatments work by filling in the holes with–you guessed it–keratin, making each strand smoother and healthier. 2. Make sure you’re getting the keratin smoothing treatment you really need. A traditional keratin smoothing treatment done at a salon involves coating your hair in a keratin-infused serum, followed by a meticulous pass of the flat iron to lock in the treatment. Some treatments allow you to wash your hair right after the treatment, while others make you wait for a few days before reaching for the shampoo. Make sure your schedule is open when you decide to have this treatment done at the salon. It usually takes a long time for the entire process. Editor’s tip: If you don’t have time to hit the salon, you can opt for an at-home keratin smoothing treatment like TRESemme Keratin Smooth Treatment Mask. It nourishes hair by infusing keratin from root to tip, instantly giving you smoother, shinier locks that stays frizz-free for up to 48 hours. Make it a staple on your bathroom counter! 3. You’re not getting pure keratin in a keratin smoothing treatment. Sorry to burst your bubble, but keratin really isn’t the main ingredient of a keratin smoothing treatment. 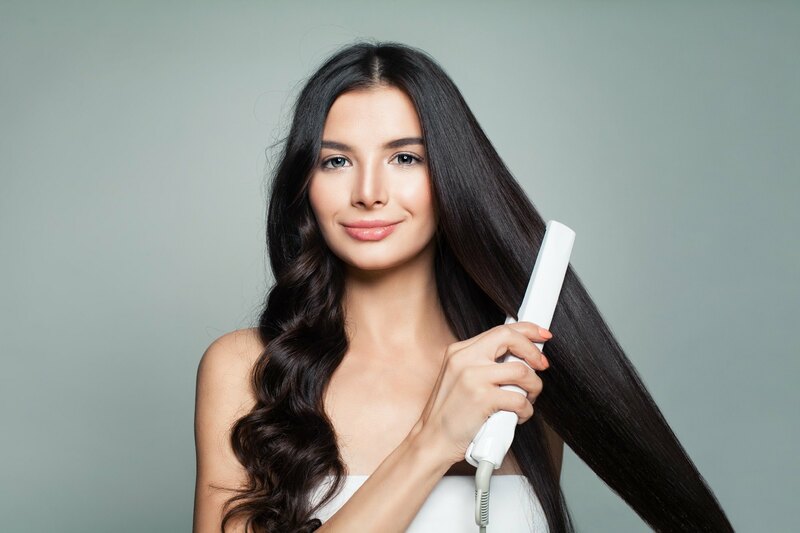 Sure, there’s keratin among the ingredients, but it’s not at the top of the list, and it’s surely not the stuff that will make your hair straight. A usual keratin treatment will contain ingredients like formalin, glyoxylic acid, and sodium hydroxide. These chemicals repair the bonds in frizzy, curly hair, giving it the smooth and silky look you crave. 4. You’ll need to give your hair arsenal a revamp. To make your keratin smoothing treatment last longer, a lot of hairstylists recommend staying away from hair products that contain sulfates. A new set of hair care products will be recommended to keep the beautiful results of the treatment. Many of the products the salon would suggest that you use are just unbelievably expensive. Editor’s tip: You can also use hair products that contain keratin like TRESemmé Keratin Smooth Shampoo, which transforms your hair to make it sleek and manageable without breaking the bank. 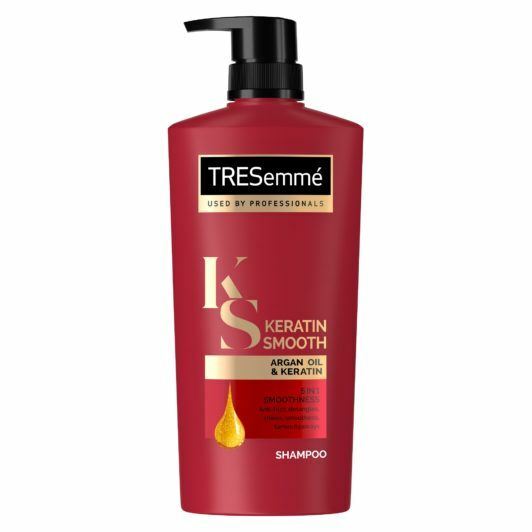 Use in combination with TRESemmé Keratin Smooth Conditioner for that soft and frizz-free hair. 5. Not all keratin smoothing treatments are created equal. There are different types of keratin smoothing treatments, with varying levels of strength and lasting power. Treatments with formaldehyde are said to be the best option, making hair smoother for a longer period of time. Do take note, though, that formaldehyde is a toxic, carcinogenic substance. Granted, the amount of formaldehyde released during a keratin smoothing treatment is negligible, but it’s still best to avoid it altogether. There are also keratin smoothing treatments that don’t involve formaldehyde–ask your hairstylist for the best option for your hair needs, and carefully weigh the pros and cons before taking the plunge. 6. Maintenance and proper care is required. No, you don’t have to go to the salon every day to keep your hair looking that gorgeous. But it is no secret that it requires extra care and upkeep. Editor’s tip: Grab a bottle (or more!) 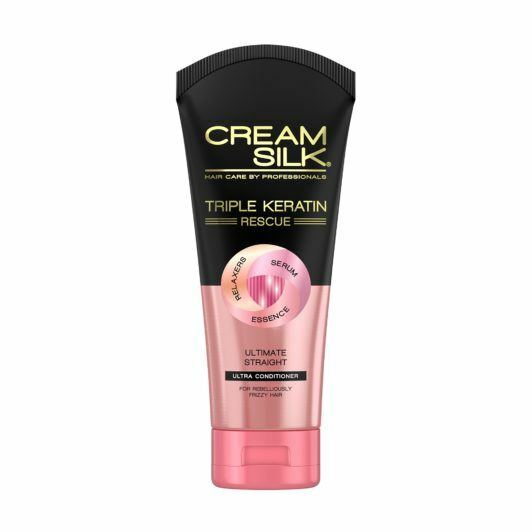 of Cream Silk Triple Keratin Rescue Ultimate Straight Conditioner, a miracle product that contains Keratin Relaxers that tames frizz, Keratin Serum that repairs damage and Keratin Essence to restore shine. Say hello to smoother, straighter and frizz-free hair at the comfort of your home!